The newest desserts reflect the latest food industry trends, with nutritious ingredients, exciting textures and fabulous flavors. 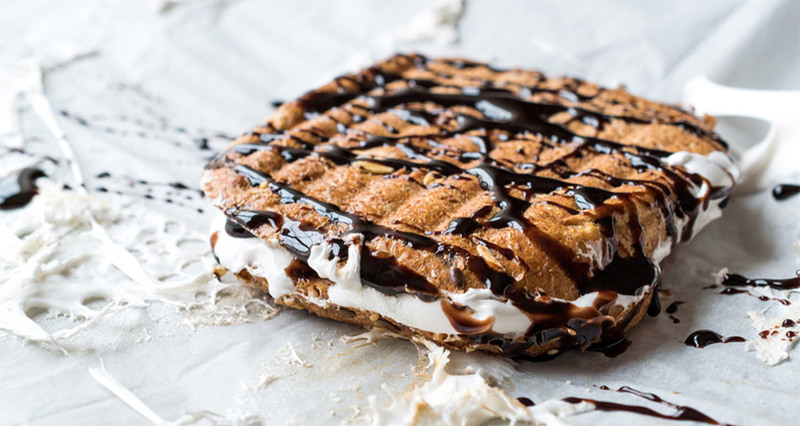 Putting a modern face on traditional s’mores are melt-in-your-mouth cinnamon-sugar brushed dessert nachos coated with dark chocolate chips and marshmallows, cooked tableside in a skillet and topped with crushed cinnamon graham cracker crumbs. What do you get when you combine the reign of the Internet and social media with the age of adventurous desserts? You get a food industry (dessert experts in particular) wisely capitalizing on the popularity of Instagram and Pinterest pictures to proudly display their wares. Turn baked goods, pastries, pies, and other confectionaries into eye-catching works of art. Look for scrumptious cakes, cupcakes, éclairs, and petits gâteaux topped with trending colorful glazes and shiny finishes to get desserts, described as “best” by executive pastry chef Sylvain Bortolini, that look as good as they taste. Miniature desserts, in the form of a selection of pétits fours and pastries served together on a platter, are all the rage among dessert aficionados and lovers alike. Offering customers more variety, more flavors, and more unique pairings, mini desserts are a way to invite creativity and ingenuity into the baking process. But the mini-dessert trend is not entirely new! In fact, it has its roots in a trend called café gourmand. Originating in Paris, the first café gourmand featured an espresso and a selection of mignardises served together on a dessert tray. This was introduced as a way of saving time when ordering, as you were served your coffee and desserts at once. What are the advantages of mini desserts? If you love mini desserts, you will also go gaga for Petits Gâteaux Assortis: an assortment of bite-sized baked sweets or small cakes. Center stage is chocolate fondant, a small chocolate cake with filling served hot and a’ la mode (topped with vanilla ice cream). These melt-in-your-mouth chocolate confections, which made their U.S. debut in the 1990s, have now been updated. The latest chocolate fondant variations include different flavors of ice cream, fruits, and even whiskey. And ‘putting icing’ on these new cakes are fondants made from stacks of crêpes separated by hot jam or berries! 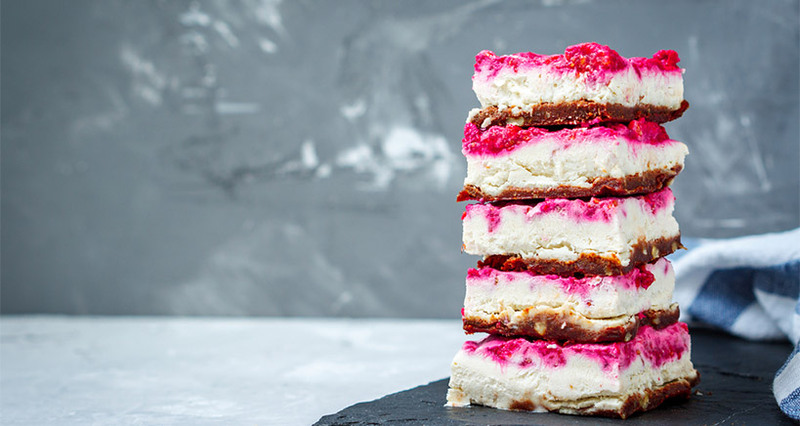 Increasing numbers of vegetarian, vegan, paleo, lactose-intolerant, gluten-intolerant, allergic and otherwise health-conscious and health-restricted customers have given rise to an entirely new chapter in the restaurant business: Dessert recipes catering to special diets. Meeting unparalleled demand for menus that consider medical, dietary, and religious needs, eateries of all types and sizes are stepping up to the plate with offers of celiac-friendly, diabetic-friendly, dairy-free, fat-free, gluten-free, sodium-free, nut-free, Kosher, low-sodium, low-fat, and high-fiber desserts. 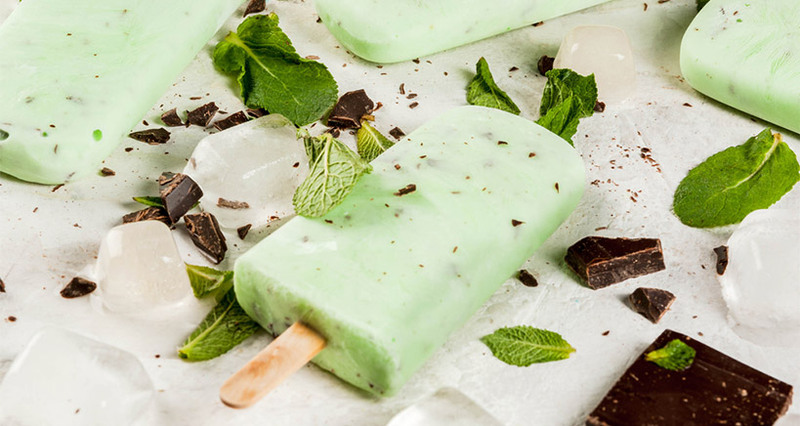 These trends, in turn, have challenged chefs and bakers to concoct recipes which use ingredient substitutes, such as non-dairy oat, soy, and coconut milks, non-dairy cheeses, and desserts that can be made without the use of eggs or flour. If all this talk of desserts has whet your appetite for trying a far-out dessert, or if you are looking for variety (aka “the spice of life”), try your hand at this tantalizing recipe for baked (not fried) spiced sugar donuts flavored with your choice of sweet potato, butternut squash, or pumpkin. Cream together sugar, butter and eggs or egg whites. Gently add in the rest of the ingredients. Cover bowl with a cloth and refrigerate for 1 hour. Roll out chilled dough on a slightly floured surface. Using a wide round-mouth glass or round biscuit cutter, cut out the rounds and place on a baking sheet. To create donut holes, use a small shot glass or 1-inch cutter to remove the center of each round. Repeat until all the dough is used up. Gather the cut-out rounds, re-roll, and use as well. Bake at 180C/350F for 20 minutes or until golden. 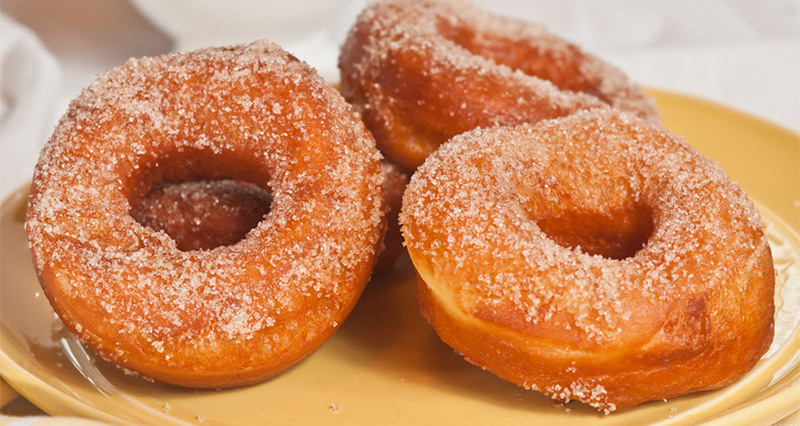 Remove from heat and immediately coat donuts with the spiced-sugar mixture. For a sure-fire way to satisfy your customers’ confectionery cravings and keep them coming back for more, add trending desserts to your menu. As a result, your business will enjoy the sweet smell – and taste – of success!